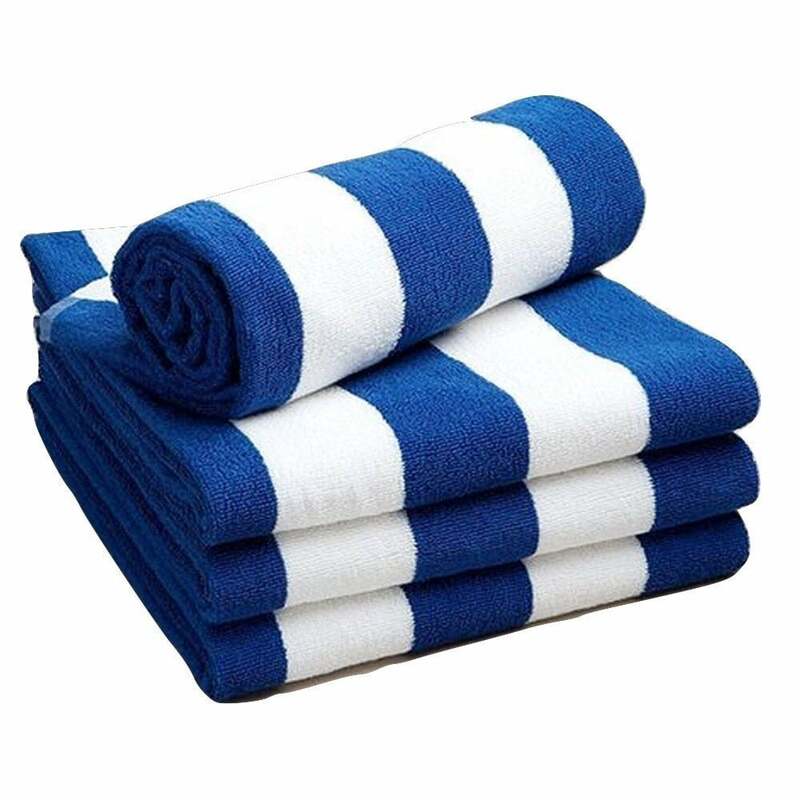 Indulge in the softness of our generously sized bold blue and white stripes pool / beach towels. These chlorine resistant, soft, breathable, absorbent, durable and quick drying 420GSM light weight towels are ideal for the pool, beach, sun bed loungers, cruise ship, gym, yoga, camping and outdoor sports. Machine wash and tumble dry on low; for best results, wash separately the first time to reduce lint.